Sometimes, because of the nature of their work or even celebrity status, individuals need additional protection beyond what they can provide on their own to ensure they are not the target of a crime. Executive protection also called close personal protection, is this type of protection. Executive protection ensures the safety of those who might be at high risk for being a target for criminals, thieves, and even over-zealous fans by positioning a trained bodyguard near the individual at all times. Here’s what you need to know about executive protection and how it might help you. Executive protection falls into two categories – domestic and foreign. Domestic executive protection takes place in your own country. This is the type of protection you have when traveling from place to place for important meetings, provide protection from disgruntled employees, protection from local fans and even protection from thieves that know the overall net worth of the individual. Foreign executive protection is similar but takes place in a foreign location. When traveling, you might be a target because you are a foreigner. Your nationality, more so than your wealth or status, puts you at risk. Dignitaries are also at risk when traveling internationally because they represent a country, and terrorists like to make them a target. Anytime you feel that your safety is at risk, you can benefit from protection services. Finding a trusted company is crucial if you feel that you would be safer with the help of executive protection service. You need to know that the company you choose is experience and well-trained in protection tactics. Here’s what you need to know when hiring a personal protection firm. First, look for an experienced team made up of people with security and law enforcement backgrounds. This will tell you that the team knows what safety measures to take to protect you, and also how to spot and eliminate a threat. 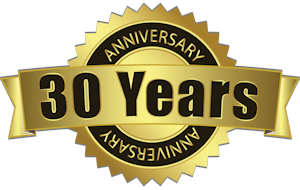 Ensure that the agency you use is licensed for protection work in your state, knows how to provide security in a discreet manner and is committed to creating a personalized protection plan that works for your needs. 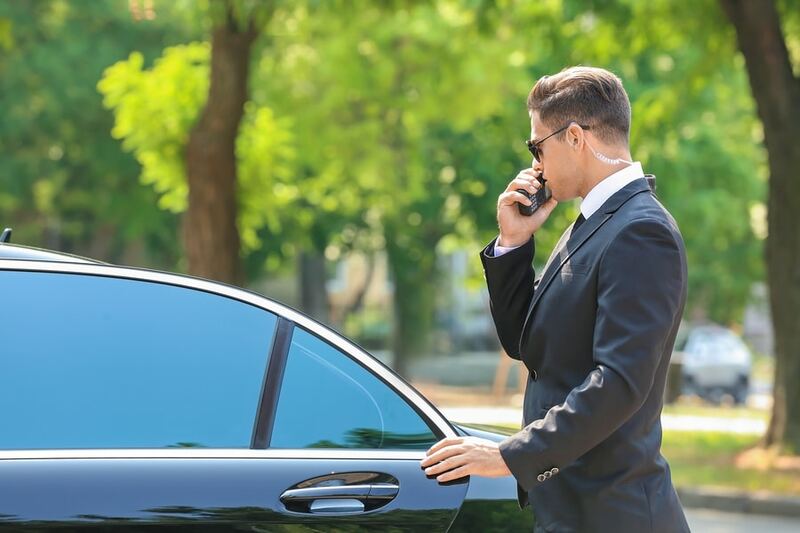 If you need the safety and security that executive protection provides, contact us today to learn more about our professional protection experts who can give you the peace of mind you need to be confident in your safety. When your business needs to be secure from any threats, internally or externally, you need a corporate investigative services firm that meets your needs and protects your interests. What a top corporate private investigator can offer your business, however, is not often well understood. Employee malfeasance is a growing problem in corporate business, yet management often neglects to look at threats inside their organization. Embezzlement, fraud, time theft and many other crimes often come from employees themselves. From outside your building, external intelligence, phone taps, and security threats have to be constantly monitored. A corporate investigative services firm can monitor both externally and internally for any threats to your business. Why Hire a Top Firm? The difference between a top corporate investigator and one that is seemingly ‘good enough’ can result in serious consequences regarding the security of your business. If your employees deal with large monetary sums, or your business has a large number of secure operations, you need the absolute best in around-the-clock security that truly protects all your assets. How Can You Spot a Top Investigative Firm? A connected network. With a network of resources, a top investigative group has the tools to operate a comprehensive investigation into any facet of your business. Scalable operation. Whether you’re looking to hire for a single project, or on a consistent basis, a top firm will be able to scale their services to your needs and your budget. Strong communication. Even if you’re carrying out a very small and seemingly insignificant investigation, a top firm will communicate every finding with you. A smart approach to cost. Most top firms focus on creating value for your business. It’s often not easy to see the return on your investment in a security and investigative firm, but a top firm will show you results. Find a firm that checks these boxes, and you’ll be hiring a company that can deliver corporate investigative services and peace of mind for your core operation. You never want to think that your business is being threatened by any force, internally or externally, but isn’t it better to know for sure? Call us today if you are looking for a top corporate private investigator in Maryland. Should You Hire a Private Investigator for Your Child Custody Case? Divorce is fraught with anxiety, frustration, worry and a wide spectrum of emotions. Often, at the top of the list is the question of child custody – Who will have physical custody of the children? A child’s physical and mental well-being is paramount to this question. Which parent is best equipped to provide a nurturing and safe environment to ensure the best interests of the child is addressed. Hiring child custody investigators can help you gather the facts. Hand-in-hand with the child custody question is the child support question – who pays and how much. There is nothing more important than securing your children’s well-being and ensuring they receive the financial support, care and loving attention they need and deserve. 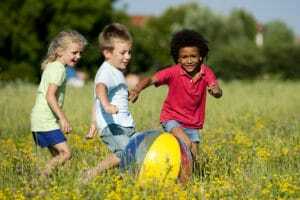 Why Hire a Child Custody Private Investigator? The information a private investigator compiles could be the deciding factor in the case. Once the court renders a decision the probability of a reversal is slim. Regretfully, all too frequently, a child may be a victim of abuse or neglect. While family services can be used in these cases, they are often constrained by inadequate resources. Hiring a private investigator to investigate suspected abuse can help concerned parties gather the evidence needed to compel law enforcement to intervene on behalf of the child. Usually, the divorcing parents are able to reach an agreement regarding the physical custody of their children. These parents, who love and cherish their children put the needs of their children ahead of all other matters and the process is mostly amicable. However, there are times when one or more of the parents is unfit, unable and not qualified to parent a child. When these situations arise, a private investigator can provide the insight and evidence needed in court to ensure the best outcome. There are times that a Child Custody/Visitation Investigation is required to confirm and determine if the custodial or visitation parent is treating a child properly. These investigations help ensure the safety of the child. A private investigator can help a parent that finds themselves in need of defending themselves against false claims OR needing to prove that an unfit parent would be detrimental to the child’s welfare. Sadly, many unscrupulous characters are adept at deception and obfuscation and thus can persuade the courts that they are a trustworthy parent – when in fact they are not. A classic he said/she said scenario can ensue and without proof, a parent may find their children placed into a dangerous situation. A qualified child custody private investigator can make a difference in the outcome of these cases. A licensed private investigator’s reports, videos, photos and courtroom testimony can provide the leverage needed in the courtroom. Our highly trained team of child custody private investigators can uncover and document concerning behavior. We provide a thorough investigation of the opposing parent’s current behaviors, past behaviors, and criminal history. We accomplish our investigations through the tenacious use of surveillance, background checks, and witness interviews. We are also frequently hired to be present during visitation. If you are concerned about the well-being of your child or grandchild and need assistance in determining the facts, hiring a child custody private investigator may be right for you. Workplace fraud is not something that any company wants to think is possible with their employees. Unfortunately, with the rise of technology, more complex and diverse tools are available for those who might be tempted to engage in fraudulent behavior, such as embezzlement. 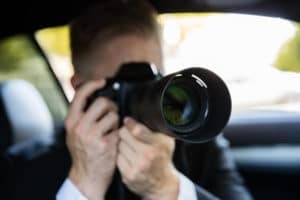 Private investigator companies can help businesses identify and address such activity to reduce its effects on the integrity of the business. When employee embezzlement is suspected, private investigative companies can perform forensic testing on the company’s computer system as well as its finances. Gathering computer evidence, such as hacking activity, email history and metadata that pinpoints file creation dates, helps a company build a case discreetly. Financial irregularities uncovered by forensic accounting can lead to evidence that is admissible in court. Surveillance is a tool long associated with private investigator companies. An important component in gathering evidence that supports suspicions of embezzlement, surveillance often uses tools such as video as well as direct observation of the individual(s) in question. In complex cases, a member of the private investigative company could pose as an employee in an effort to gather critical insider information about the fraudulent activities. Using a highly-trained private investigator reduces the risks associated with this type of operation while increasing the odds of success. An employee engaged in embezzling funds from a company’s coffers may have hidden electronic recording devices in key offices in an effort to obtain sensitive information. Similarly, such devices can also be installed as programs on a company’s computers without their knowledge. Private investigation companies can detect all types of electronic recording devices that could be used in an office. Even the more sophisticated technology that is often found on computer programs can be successfully tracked and disabled by a well-trained private investigator. Private investigative companies provide invaluable services for companies that suspect embezzlement. These professionals utilize techniques that gather evidence that can be used in court to recoup the losses of the business and bring the criminal to justice. Security guard companies can make a huge difference for your company or organization. The secret to security for your business doesn’t need to be kept behind a locked door, only to come out when you have a big event or a local disturbance. 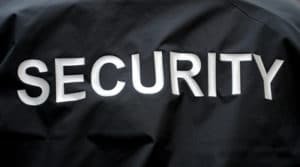 You can have 24-hour security and a wealth of other services by hiring a reputable, licensed security guard company. Not only will you be putting your business security into the hands of the professionals, you’ll have the confidence that comes with knowing you’ve done the best for your business, your products and your employees. 24-hour security – On-site or monitored off-site, but it will be 24 hours a day, seven days a week. Armed or unarmed guards – Just the presence of an armed guard can deter criminals. Even seeing an unarmed guard at the door or on the property is intimidating enough that the amateur offender will give up and choose an easier target. Guards on-site also make employees and visitors feel safer. They can walk people to their cars in deserted parking lots and look out for strangers on the property. Radio communication with patrol cars – For peace of mind, you can have the capability to communicate with patrol cars on your premises. Executive protection – Think “body guard,” but more subtle. These guards can be uniformed or plain-clothed, but their sole mission is to keep their assigned person safe. They enter rooms ahead of the subject, they check out the situation, their eyes are always moving, anticipating, preparing. Handling crimes – A security guard company can also be there to handle any crimes that do occur. They will make your job easier and they know the protocol to make sure the perpetrator comes to trial.